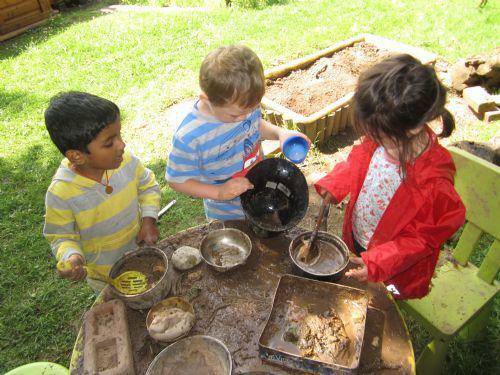 We offer 'wrap around' childcare at Tremorfa Nursery School. This means that your child can attend their free nursery session in the morning and you can then pay for them to receive additional childcare on site. Our childcare club is called 'Tremorfa Afternoon Club'. Tremorfa Afternoon Club is held in our Community Room and is run by Trudy Furzey, along with Kelly Power and Karen House. The club is registered with Care Standards Inspectorate for Wales (CSSIW) who regulate and inspect the club. Our recent inspection report can be found on the CSSIW website (see link below). Because the club is registered, working parents may be able to claim tax credits against the cost of childcare. The current cost of childcare is £12 for a session (11:30am-3pm). There is also a one-off £12 registration fee when you first sign up for the club. Places in the club are limited and are often in demand. We operate a first come, first served policy although priority is given to those who need a place for work or training. If you would like more information, or would like to put your child's name on the waiting list, please speak to Annamaria Bevan or to Trudy Furzey.